You may recognize his name from his younger days as a professional wrestler in the WWE — Bret (The Hitman) Hart, as he was and still is known, was a five-time WWE World Heavyweight Champion who may be facing one of his toughest battles yet. A survivor at heart, Hart in recent days announced his diagnosis and fight against prostate cancer, and said he had undergone surgery to rid himself of the disease . It is unclear how long Hart has been fighting prostate cancer, but it is our hope that his openness about his diagnosis and treatment will help other men facing the same silent killer. He is a true inspiration to all men facing the challenges of prostate cancer diagnosis and treatment. This is not the 58-year-old’s first serious health battle, having had a stroke in the early 2000’s. The Hitman retired from a successful career in wrestling after suffering a concussion in 1999. But the pro wrestling Hall of Famer calls his battle with prostate cancer his “toughest battle” yet. Despite our efforts in early detection, prostate cancer remains the second leading cancer cause of death in men, killing approximately 27,500 men this year. Tens of thousands of additional men suffer from the burden of painful metastatic prostate cancer, which can lead to bone fractures, the inability to urinate, spinal cord compression and renal failure. Since the widespread adoption of PSA screening in the early 1990’s, however, there has been a 39% reduction in prostate cancer mortality rates. For most men, prostate cancer isn’t a concern until after the age of 55. And while the majority of prostate cancer diagnoses occur amid that age group, prostate cancer does get diagnosed in men much younger than that. Current governmental guidelines may give a false sense of security in younger men who are quick to believe prostate cancer is an “old man’s disease.” The truth is, prostate cancer can strike at any age. It does not discriminate, and early detection is our best defense against this silent killer. The ability to make informed decisions and accurate interpretations comes from education. Because PSA tests are not necessarily straightforward, simple or easy diagnostic tools, knowing your risk factors and tracking the changes in PSA can help you make informed decisions about your health. Until we get improved diagnostic testing, younger men need to be encouraged to understand their risk factors when it comes to prostate cancer, and get screened. High-risk men include, but are not limited to, those of African American descent and men with a family history of prostate cancer. These groups should begin screening at age 40, followed by annual tests. Race/Ethnicity. African-American men are 60% more likely to be diagnosed with prostate cancer and 2.5 times as likely to die from it, compared to Caucasian men. Age. More than 65% of prostate cancers occur in men over 65. However, young men get it too, and it is usually more aggressive. Family history. Having a father or brother with prostate cancer more than doubles a man’s risk for getting prostate cancer. Weight. Obese men (BMI 30+) have greater risk for developing aggressive prostate cancer, and are 33% more likely to die from it. Eat low-fat, fruits and veggies, fish, more plants than animals, less dairy. Get at least 30 minutes of exercise most days of the week. Go for a PSA blood test and DRE once a year. If you are diagnosed with prostate cancer, talk to a specialist about treatment options to determine which type is best for your cancer and when to have it done. Listen to your doctor; do not procrastinate. If appropriate, a robotic prostatectomy is often the most successful form of treatment. Dr. Samadi is a board-certified urologic oncologist trained in open and traditional and laparoscopic surgery, and an expert in robotic prostate surgery. He is chairman of urology, chief of robotic surgery at Lenox Hill Hospital. 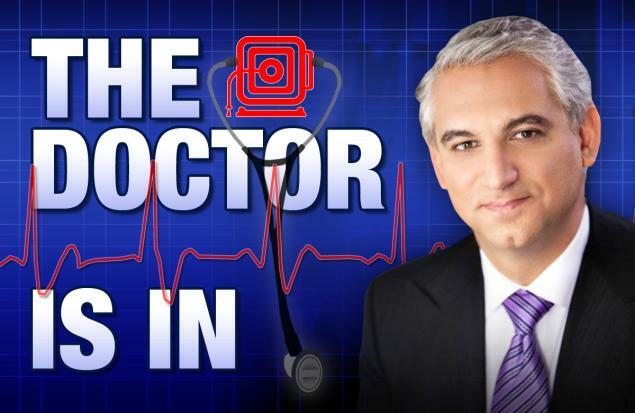 He is also a medical correspondent for the Fox News Channel’s Medical A-Team and the chief medical correspondent for am970 in New York City, where he is heard Sundays at 10 a.m. Learn more at roboticoncology.com and SamadiMD.com. Follow Dr. Samadi on Twitter and Facebook.